On this site, I’ve repeatedly written about mystery and thriller novelists who couch their apologist views for Islamic terrorism and hatred of Israel and America in the midst of their books. Le Carre is one, Baldacci is another. Then, there’s North Patterson. Money can’t buy love, but it can buy everything else, including a victory at the polls. That’s the compelling, if hardly unique, backdrop for The Appeal, John Grisham’s rant-against-dirty-politics legal thriller, on sale Tuesday. . . .
Not for the first time, Grisham uses his fiction to lambaste the amorality and greed of corporate America and the consequences suffered by its unwitting victims, mainly the defenseless poor. He has taken on the pharmaceutical, tobacco and insurance industries. This time it’s a fictional chemical company. The Appeal begins with the shocking conclusion to a lawsuit filed against Krane Chemical by Jeannette Baker, a young woman who lost her son and husband to cancer within eight months. The $41 million settlement is unprecedented, and Krane isn’t taking it lightly. Jeannette is only one of hundreds of people in fictional Bowmore, Miss., who have been affected by Krane’s decades of dumping toxic waste in what has come to be known as Cancer County USA. If the chemical company doesn’t get a reversal on appeal, future lawsuits on behalf of more than 160 cancer victims will drain its deep pockets, especially the gold-lined wallet of owner Carl Trudeau. He has vowed those “ignorant people” won’t get a dime of his money. Meanwhile, he’s spending millions of his billions on his vapid trophy wife, junk art and most important, electing a limited-liability justice to the Mississippi Supreme Court who will deny Jeannette’s monetary award on appeal. As always, Grisham’s depiction of the victims, their dedicated, flat-broke attorneys and the forces trying to erase Krane’s liability are poignant and dead-on. The novel’s conclusion is satisfying, somewhat grim, but nevertheless believable. 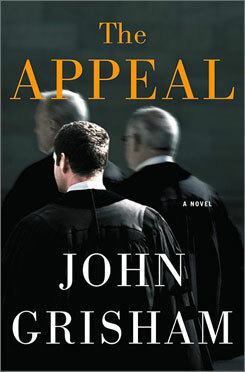 More than a novel, The Appeal is an expose of how highly organized special-interest groups, loaded with cash, can manipulate the judicial system. It’s Grisham’s bully pulpit for reform. It should be noted that former Supreme Court Justice Sandra Day O’Connor, who was a liberal and has turned into something of a communist bizarro in her post-Supe days, agrees with Grisham. She doesn’t want elections of judges. She wants them to be appointed and sit for life on the bench, without any accountability. Sorry, but that ain’t the way for justice. And while it is naive to insist that there are no “bought” judges, elections, and verdicts in America, it is another thing to imply that this is the general case in America. I don’t think highly of most judges. They are generally lazy, of mediocre or lesser intelligence, and people who couldn’t or wouldn’t make it as a lawyer in the private sector. That said, while some are dishonest, Grisham’s wholesale indictment is absurd and harmful. Are there corrupt CEOs in America and poor victims? Yes, there are plenty. But the vast majority of companies provide jobs and products that help American lives. And not all of the alleged victims’ lawyers are poor lawyers sacrificing for the good. Many are like John Edwards and Trent Lott’s brother-in-law Dickie Scruggs, suing the heck out of corporate America on behalf of questionable victims, in order to make their Bentley payments. Don’t look for that, though, in a Grisham novel. It gets in the way of his black-and-white views on corporate America. One wonders whether Mr. Grisham will now open up his investment portfolio to America to show us in which of these evil titans he’s invested his book and movie fortunes. He’s not one of the little people he claims to be championing. In fact, he’s probably enabling their “evil” corporate oppressors. Strong political views in a work of fiction are a strong indication. They are indicative of weak writers who don’t have any ideas or, in Grisham’s case, who’ve run out of ideas and must lean against a political construct to support the weak plot. If only Grisham would read the words of his colleague, novlist Linda Grant, in her article, “The Pricks of Conscience,” in the January issue of Prospect Magazine. Why writers should be canvassed for their opinions on political issues, I cannot imagine. My, how times have changed. Today, writers cannot imagine why not. When people buy a legal thriller, that’s what they want to read. Not the author’s political agenda. I’m willing to bet there’s corporate murder involved, somewhere in the book as well? – The big bad corporation gets what’s clearly Grisham’s idea of poetic justice in the end. – Even though the storyline ends, there’s another half to full chapter, in order to reiterate his point. And you wonder why the illiteracy level is escalating in this country. Mind you, I am a diehard bookworm and my passion for reading lies with novels ( exspecially murder mysteries) but who is going to give a book with left wing propoganda a time of day? Liberal-socialist propaganda notwithstanding, the degree of immorality, corruption, vice, and crime is MUCH higher among the lower classes in our society than among the “rich and powerful.” Among other reasons, complex and sophisticated social and economic organizations are not possible without a high degree of honesty and rationality among their participants. Are there occasional bad apples? Of course. But the lower class barrels are stuffed full of spoiled fruit. For a refreshing antidote to Grisham and his fellow liberal self-haters, try Daniel Silva’s novels and his hero Gabriel Allon, the Israeli secret agent. Books of integrity with their heart in the right place. Another good new book is Red Sea by Emily Benedek. This novel is published by Doubleday. Doubleday is an imprint of Random House, which according to one source is “the world’s largest English-language general trade book publisher,” which in turn is owned by Bertelsmann, one of the largest media companies in the world, with earnings last year of @ $28 billion. But of course, every one of those $28 billion dollars was earned with absolutely clean hands and no help from high-powered attorneys or political “friends,” so Grisham isn’t really the typical “liberal” self-righteous hypocrite. Really. 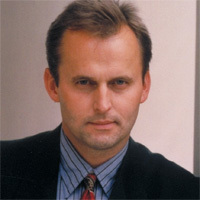 I want to read John Grisham’s political agenda. I have just read my first Baldacci book (Divine Justice). His views weren’t so much anti-America as much as anti-government. I liked your summary of John Grisham’s novel and will steer clear of it. Unfortunately, I read Grisham’s “The Confession” recently. Uber-liberalism is putting it lightly. The Confession is liberal propaganda. Why anyone would want to read his crap is beyond me. Liberalism is a religion now and out to recruit more idiots. No doubt he is a prophet of liberalism and those who give in to this type of programming is just like a Jim Jones cult. I liked the book. Once started I could hardly lay it down. Good to know he is a liberal. I love Baldacci, thanks to your post i know that i should try Le Carré and Patterson. In return, i’ll recommand Mein Kempf to you, it seems to be exactly what you would enjoy given you moral compass.